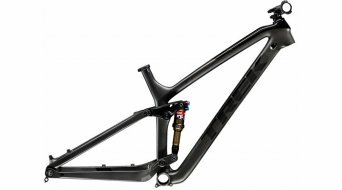 The full suspension bike's frame is the basis of a fully suspended MTB bike. 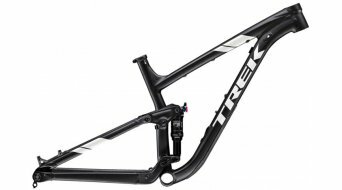 Via the geometry, the 29 inch bikes as a rule are used where the main emphasis is the trail and the speed. In the cross-country or all-mountain areas, the large wheels of the 29 inch bikes can show their strength, the phenomenal rolling characteristics, and some manufacturers and cyclists like to use the larger wheels also in the enduro area. 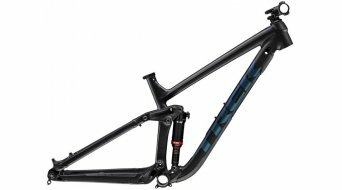 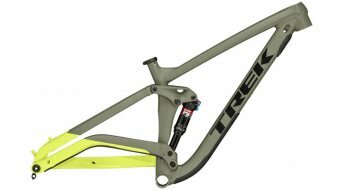 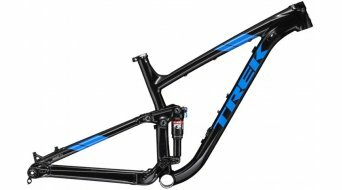 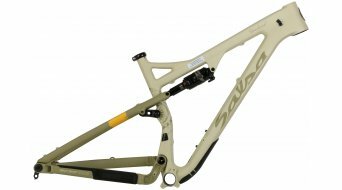 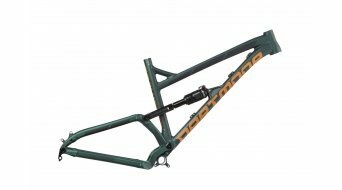 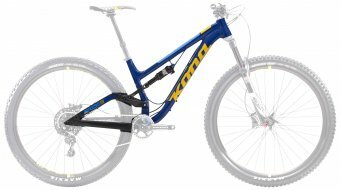 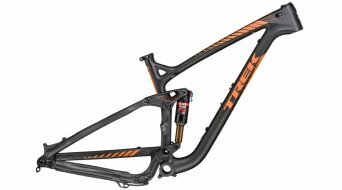 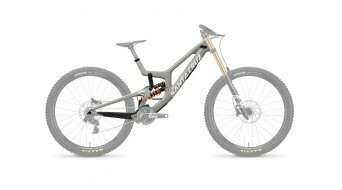 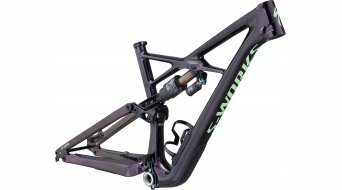 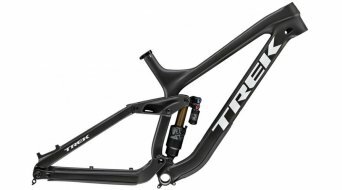 Would you like to build up your 29 inch full suspension bike yourself, that is to say not to buy it off the shelf, then you'll for sure find the matching 29" frame for your fully suspended MTB here. 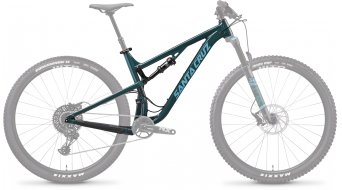 Besides the matching frame height, you mainly have to pay attention to the top tube length, head tube and seat tube angles as well as the bottom bracket height or the length of the chainstays. Especially for the 29 inch frame, the two last mentioned dimensions are highly relevant for the handling of the completed bikes since they determine the agility, the smoothness, the ground clearance and the climbing abilities of a bike. 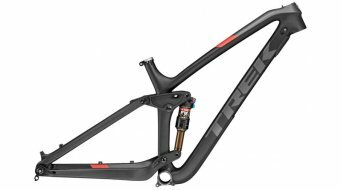 These data are often more important than the travel or the rear triangle concept of a fully suspended bike. 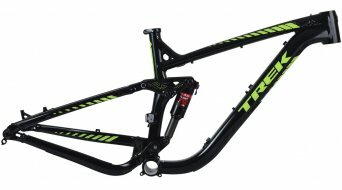 There are three basic principles for the rear concept, which also apply to the 29 inch frames: The classic single-pivot bikes, for a fine response behaviour and a low weight with the disadvantage of drive and braking influences and its relatives, the multi-pivot bikes with a higher lateral stiffness. 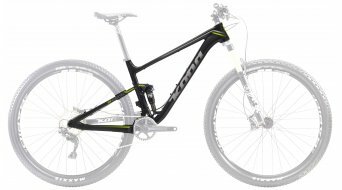 The drive and braking neutral four-pivot bike with its variants is the concept for 29 inch frames, which is used the most since it is drive and braking neutral, which makes you forget the disadvantage of the slightly more insensitive response behaviour to fine impacts. If you wish to go fast and far forwards and also uphill, riding a four-pivot bike in most of the cases is best. 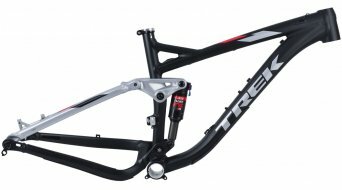 Find your new 29 inch frame here in our product range of frames and/or frame kits.